Paddock View, Richardson Court, Hambleton, Selby, Hambleton, YO8 9SP. Enter via the front door and porch into a hallway leading to the living room and kitchen/dining area, each with bi-folding doors leading out into the rear garden. 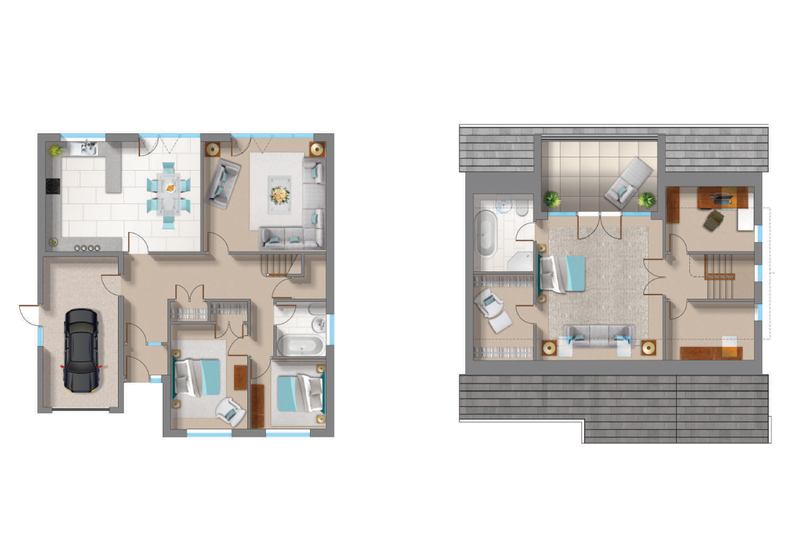 The ground floor also accommodates two bedrooms, the family bathroom and indoor access to the attached garage. Upstairs we find the Master Suite consisting of bedroom with ensuite facilities, walk-in dressing room and double French doors opening onto a spectacular outdoor south facing terrace with unspoilt views across open fields and woodland. The study and the kitchenette/hobby room are also located on this level.